Return Policy: Returns accepted up to 6 months. 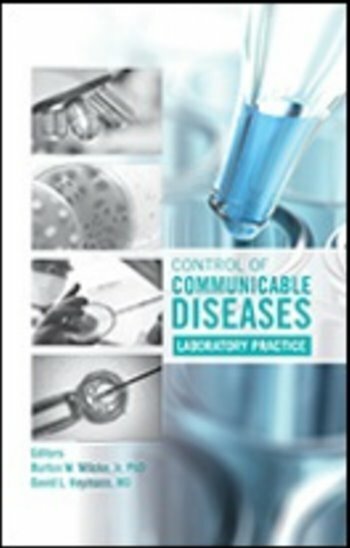 Abstract: Laboratory Practice is a new complement to the Control of Communicable Diseases Manual, a book published by APHA Press for over 100 years and also the primary resource for disease control specialists. This new book addresses the laboratory aspect of disease control and prevention while presenting the material in an easy-to-use format. Laboratory Practice gives an overview of the latest laboratory procedures for each disease, as well as information on laboratory safety practices, the critical role of quality assurance in all testing and the importance of laboratory informatics and rapid reporting processes. With in-depth detail for each disease, this is a must-have for all laboratory scientists, epidemiologists and others involved with communicable disease control. Laboratory Practice supports both planning and response for disease control.